Trail cameras have a variety of applications – from tracking game to monitoring a remote piece of land for security purposes. As such, there are a lot of trail cameras on the market today boasting an impressive array of features, such as color photos and video, stellar nighttime performance, cellular connectivity and more. Our team performed in-depth research on trail cameras to curate the list of top picks below. If you're not sure what kind of trail camera you need, check out our trail camera buying guide that explores key features and considerations, such as image quality, trigger and recovery speeds, battery life and more. Read more about our methodology. With a 10-megapixel camera and 0.4-second trigger speed, the Browning Strike Force Elite is a great fit for any outdoors enthusiast looking to capture clear pictures in day or night. This camera is compact, sturdy, and long lasting. The Moultrie A-20 Mini Game Camera boasts an impressive 12-megapixel camera and 50-foot flash range, making it a great choice for those on a budget. This camera can weather most outdoor conditions with a tough and waterproof external case. Tracking game is the Cuddeback Long Range IR Model E2 Camera’s strong suit due to a whopping 20-megapixel camera. With both wide view and narrow view modes and a 100-foot flash range, it excels at capturing everything that crosses its path, even at night. The Bushnell Trophy Cam HD Aggressor includes an impressive array of features that make it our top pick for trail cameras for security. It offers great photo and video quality – including at night time. And wireless connectivity means that photos upload straight to the cloud and you don't need to be onsite to make adjustments. Wireless trail cameras need to be durable, easy to use, and simple to set up. The Spartan HD GoCam fits the ticket on all counts. It’s ready to go out of the box and offers impressive photo capabilities such as an 8-megapixel camera. One of the most important factors to consider when purchasing any camera, including trail cameras, should be photo and video quality. Typically, the higher the megapixel count, the higher quality of photo the camera will capture. Many trail cameras will also capture short video clips ranging in length. If you want videos from your trail camera, you’ll want one that can capture HD videos for longer lengths. How well the camera performs when an animal walks can determine where you place the camera and help set your expectations on what you’ll actually capture. Faster trigger speeds indicate less time between an animal walking by and the camera capturing an image. The camera also needs time to recover between shots, so a camera with a shorter recovery time will take more pictures in a shorter amount of time—a crucial aspect for capturing images of animals. Also consider what kind of modes the camera offers for greater customization options. How a camera performs during the day mostly relies on the two factors listed above. If you want better daytime pictures, consider a camera with high points in those two areas. However, if you prefer nighttime shots, find a camera that has a longer flash range. You may also want to consider “no glow” flashes, which are not visible to the human or animal eye. Battery life is especially important to consider for trail cameras since you’ll likely be leaving them in a remote area for weeks or months at a time. If you want to capture an area for a longer timeframe, consider a trail camera that lasts longer on batteries or offers additional power options. For less than $100, you can get a budget trail camera. Budget trail cameras typically offer lower photo and video quality, in both day and night times, and often have longer trigger speeds and recovery times. This means you’ll get fewer pictures with a lower level of quality. The trail cameras you can purchase in the $100-$250 range will satisfy the needs of most consumers and will be the most likely to produce high quality images in both day and night settings. The trail cameras in this range offer more customizable options and higher battery life. The higher-end models, above $250, are typically specialized models or models that offer new technology, such as wireless capability. With a 10-megapixel camera and 100-foot flash range, the Browning STRIKE FORCE Elite Sub Micro trail camera fits the needs of most consumers looking for high photo and video quality in both day and night settings. Because of its fast trigger and recovery speeds and its Zero Blur image capture feature, this trail camera is an easy recommendation from us for any outdoors enthusiast. High quality photos and videos in day and night. The Browning STRIKE FORCE Elite Sub Micro produces images and videos that are clear, sharp, and vivid in both light and dark. It packs a great 10-megapixel camera and impressive 1280x720 HD video capabilities. The camera will record video with audio for as long as there is activity in front of it, and the video quality is superb for such a small camera. Browning’s Zero Blur Image Capture functionality actively eliminates motion blur from images of moving animals, and it works impressively well. Great overall performance. Trigger and recovery speeds are crucial to trail camera performance, and this one doesn’t disappoint. It boasts a 0.4-second trigger speed, guaranteeing the capture of most fast-moving animals that cross its view. With a recovery speed of about a second, the Browning STRIKE FORCE Elite Sub Micro is sure to capture all the action. Impressive flash and detection ranges. You won’t get any good images if your camera can’t detect what’s in front of it during the day and the night. This trail camera can detect motion up to 55 feet away and its nighttime flash has a range of up to 100 feet, which beats out most of the competition. High Battery Life. The Browning STRIKE FORCE Elite Sub Micro trail camera takes 6 AA batteries, and can last up to 7 months without replacing the batteries. If needed, the camera will also work with Browning’s additional power accessories to increase battery life. No Continuous Nighttime Video. 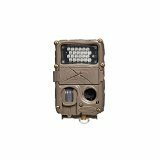 If you want to capture nighttime videos, be aware that the Browning STRIKE FORCE Elite Sub Micro trail camera can only take videos of up to 20 seconds at night. The Moultrie A-20 Mini Game camera is a great starting point for beginners and backyard animal lovers. The camera uses its 12-megapixel camera to take good quality photos, which is impressive for a trail camera in its price range. High Megapixel Count. The Moultrie A-20 Mini Game camera’s standout feature is its 12-megapixel camera, which is much higher than many of its competitors, especially in the budget price range. Day time pictures are clear and vivid. Easy to Use. Some trail cameras don’t offer much when it comes to user interface and setup, but this one has an LCD screen that’s easy to use. Switching back and forth between the multi-shot and single-image modes is easy and intuitive. Wireless Capability. Wireless options are new in the trail camera world, and most cameras don’t offer any kind of wireless capability. 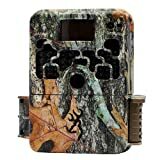 The Moultrie A-20 Mini Game camera is compatible with Moultrie Mobile technology, which allows you to view your images remotely from your computer, tablet, or smartphone. Low Video Quality. Video quality is sub-par. The camera is only able to record videos up to 480p resolution, which isn’t HD, and you may find your videos to be grainy and blurry. The video also doesn’t capture any audio. Taking still photos is this camera's strong suit. Serious hunters want to know how much game is in an area before they spend an extended period of time hunting that area. Trail cameras that are made for tracking game focus on features such as long range capabilities and image imprints—information that displays time, dates, and moon cycles. If you’re looking for more specifics than just images, consider purchasing one of these trail cameras. The Cuddeback Long Range IR Model E2 Camera’s biggest selling point is its 20-megapixel camera, which guarantees vivid and clear photos at any time during the day or night. It also offers a short trigger and recovery speed, making it faster than most cameras on the market. For tracking game, you can set the camera to time lapse mode, capturing all game that moves through the area. Wide Variety of Image Modes and Functionality. The best feature of the Cuddeback Long Range IR Model E2 camera is easily its 20-megapixel camera, which captures sharp images and clear video. A wide range of image modes and functionality is essential to any game tracking camera, and this one features plenty. You can set the image to time lapse mode, burst mode, single shot mode, and wide view image mode, among many others. You can also count on a 0.25-second trigger speed and 1-second recovery speed to help you capture animals quickly and efficiently. Incredibly High Battery Life. Battery life depends on a variety of different factors, but this trail camera can last up to a whopping 12 months on a single set of batteries. An increased battery life like this is essential for scouting an area before hunting it, and the Cuddeback doesn’t disappoint. Image Imprinting. The Cuddeback Long Range IR Model E2 offers image imprinting, which prints the date, time, and moon phase on each photo it takes. This gives you more insight on when game is active in the area you’re scouting. Customizable Time Lapse Mode. You’re in complete control when it comes to your time lapse settings, which is a rarity when it comes to trail cameras. You can set the camera to take a picture anywhere from once every 10 seconds to once every 24 hours. You can also continue to take time lapse photos during the night. No Continuous Video Recording. The Cuddeback Long Range IR Model E2 camera doesn’t offer continuous video recording, but it does offer you three choices for length: 10 seconds, 20 seconds, or 30 seconds. The Day 6 Plotwatcher Pro HD Game Surveillance System is made for a single purpose: to watch everything that happens from dawn until dusk on a single plot of land. With a huge range and wide field of view, this trail camera is a great choice for the dedicated hunter. Huge Range and Field of View. This trail camera boasts a range of up to 300 feet in clear conditions, easily making it one of the longest-range cameras in the market. 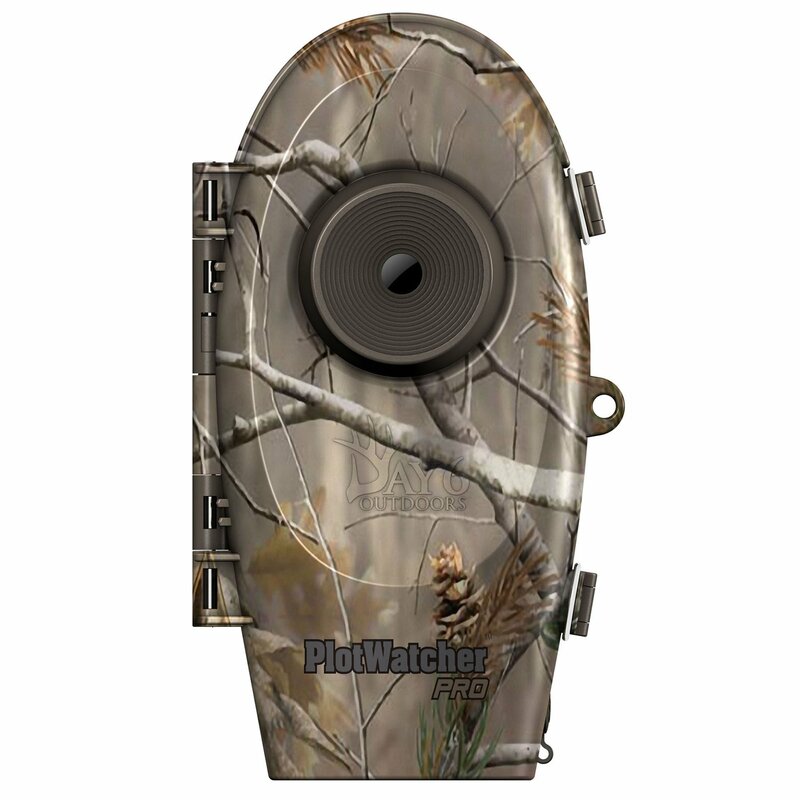 It also boasts an increased field of view, capturing more action in a single shot than most trail cameras. Single Purpose Done Well. The Day 6 Plotwatcher Pro HD Game Surveillance System has a single purpose: to capture everything happening in a single plot of land over an extended time period. And this camera does it well. It takes time lapse photos every 5 or 10 seconds, capturing all game that is in its field of view over the course of a day. Simple-to-use Software. Using Day 6’s GameFinder software, you can easily review a day’s worth of photos. It makes it easy to analyze the game patterns in the area you’re scouting, without having to deal with third-party software. Using GameFinder, you can review photos at your own pace and your own preference for detail. Extended Battery Life. When taking time lapse photos, most trail cameras would burn through batteries. This trail camera can take up to 1 million photos (28 days’ worth of pictures taken every 10 seconds) on a single set of batteries. No Night Photos. The Day 6 Plotwatcher Pro HD Surveillance System only takes photos from dawn until dusk. That means no night time photos. Most trail cameras are made to be small, compact, and hard to see, which makes them excellent choices for security cameras. Trail cameras for security typically have “no glow” flashes, which are invisible to the human eye, and excel at nighttime photos. A 14-megapixel camera, HD video capabilities, wireless functionality, and “no glow” flash make the Bushnell Trophy Cam HD Aggressor Wireless Trail Cam an excellent choice for security surveillance. 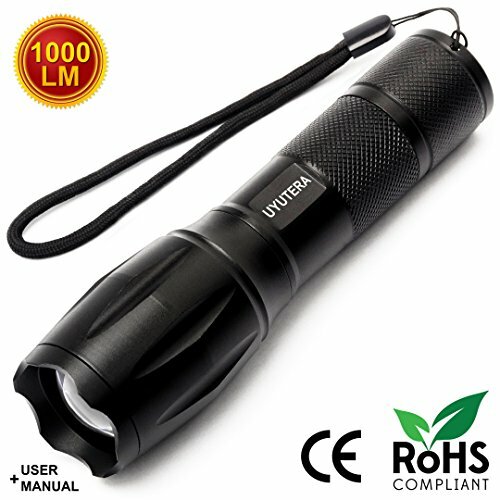 It especially excels at night time photos with its Hyper Night Vision feature. Wireless Connectivity. The Bushnell Trophy Cam HD Aggressor camera offers out of the box wireless connectivity. Whenever the camera takes a picture, it uploads it to the cloud, allowing you to view it almost instantly anywhere you have access to the internet. The wireless option also gives you more freedom to control and adjust settings remotely from your computer or smartphone. High Detection Range. This trail camera offers a hearty 110-foot detection range, which is higher than most trail cameras on the market. You can also count on a speedy 0.3-second trigger speed and a “no glow” flash. Easy to Setup and Use. You may think that a wireless trail camera would come with a difficult set up, but the Bushnell Trophy Cam HD Aggressor Wireless Trail Cam is ready to go right out of the box, and it’s easy to manage as well. You can adjust settings through the website or the available app. Great Picture and Video Quality. A 14-megapixel camera is rare in trail cameras, but is an excellent feature to have for a trail camera being used for security purposes. The Bushnell Aggressor takes clear photos and HD video that’s sure to show everything you need to see. Long Recovery Time. Like most wireless trail cameras, the Bushnell Aggressor has a recovery time of about a minute, which means it won’t take another picture until a minute has passed. This is standard for wireless trail cameras, as the camera will upload the image to the cloud before taking another one. Needs Signal. 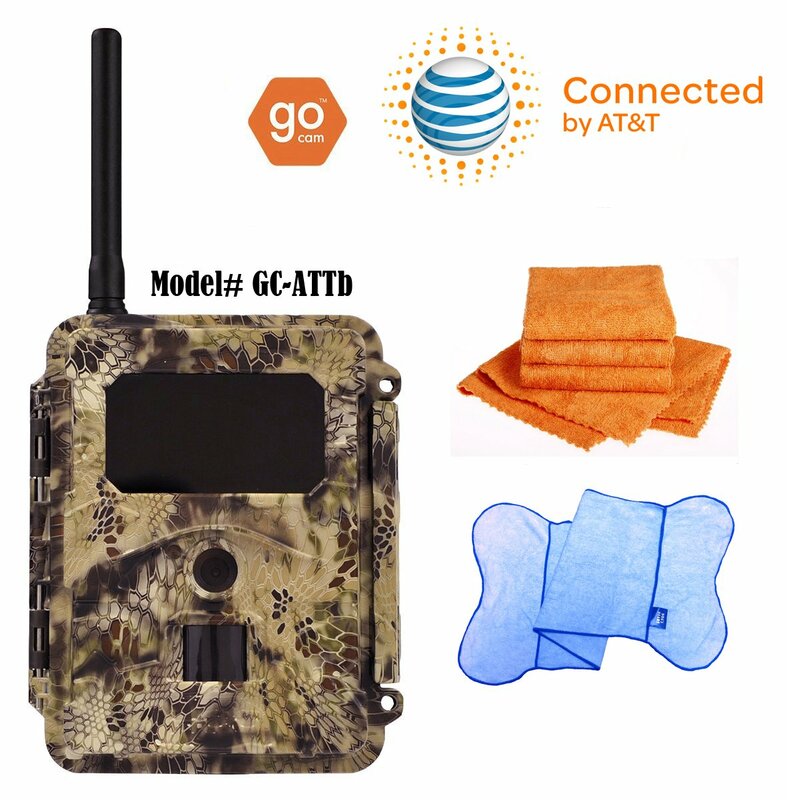 This may go without saying, but wireless trail cameras need a cellular signal to function properly. In a world of increased connectivity, we’ve become used to having instant access to all our important information. Wireless trail cameras offer that same convenience through instant photo uploads that you can access from your computer or smartphone whenever you have access to the internet. The Spartan HD GoCam uses AT&T’s network to deliver high-quality images and videos from its 8-megapixel camera. It’s ready to go as soon as you open the box and offers a good amount of flexibility when it comes to wireless plans. Incredibly Easy Setup. One of the main concerns of purchasing a wireless trail camera is the hassle of getting everything set up right the first time. The Spartan HD GoCam alleviates that pain by making its camera ready to go as soon as you open the box. All you need to do is get on your home computer to complete the setup, eliminating the need to go to a wireless store. You also don’t have to worry about SIM card nightmares. The camera comes with the right SIM card out of the box. Good Wireless Plans. Wireless plans can often get complicated, especially when contracts are thrown into the mix, but this wireless trail camera offers a variety of no-contract plans ranging from $5 to $50. You can start or stop the service any time you want to, without having to worry about incurring termination fees. Impressive Camera Functionality. The Spartan HD GoCam takes great photos and video, and it has a wide detection field. These features combined make for an excellent trail camera that will capture animals in a variety of different situations. Photo Encryption. If you’re worried about securely transmitting your photos, you can feel safer knowing that this trail camera gives you the option of encrypting your photos. You can also turn off the encryption if you don’t want to use it. Sturdy Build. The camera is built to endure tough conditions, and the cellular antenna has some give and bend to it, which really adds to the unit’s durability. Poor Trigger and Recovery Speeds. The Spartan HD GoCam has a trigger speed of around 1.2 seconds, which is below average in today’s trail camera industry. Also, expect a minute-long recover speed, which is pretty standard for wireless trail cameras. Limited Battery Life. Wireless trail cameras often suffer from limited battery life, and this one is no different. On cellular mode, expect to be changing your batteries every few months.